Yet within weeks the handsome 22-year-old had been airbrushed from popular history. It was determined that King, an 'Irish working man' was an unsuitable champion and the two dead leaders of the party, the Anglo-Irish gentleman, Robert O'Hara Burke and English scientist William Wills, would be history's heroes. Mentally and physically, King was a better equipped explorer than Burke or Wills. Educated at a Quaker primary school, King lived through the Great Famine, graduated after seven years at a tough Dublin military college, fought in the Indian Mutiny and was a teacher, linguist, musician, army sharpshooter, horseman and camel handler. John King: Ireland's Forgotten Explorer - Australia's First Hero reveals the string of injustices done to John King by powerful contemporaries and subsequent historians, and on the 150th anniversary of his survival, seeks to give him his rightful place in the Burke and Wills historiography. 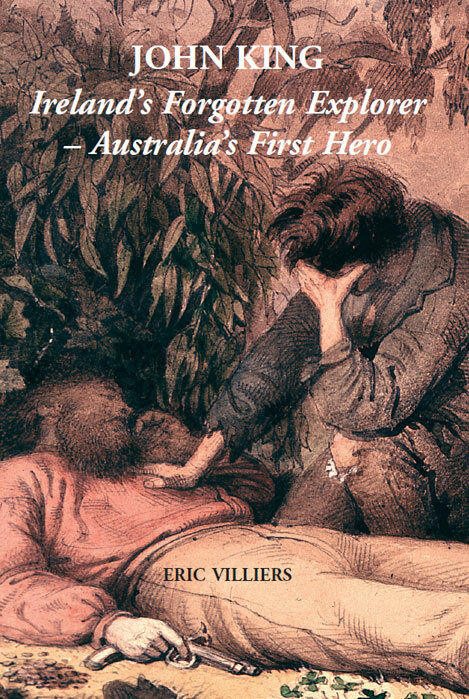 Former Portadown Times journalist, Eric Villiers, author of Ireland's first 'soul' singer (2002) and John King: Ireland's Forgotten Explorer ' Australia's First Hero.